Today, the Indiana House of Representatives, with a vote of 63-31, passed a bill designed to allow private businesses, individuals and organizations to discriminate against anyone in Indiana on religious grounds. Lambda Legal condemns SB 101’s passage, which Governor Pence has vowed to sign into Indiana law. We are extremely disappointed that Indiana’s House, despite knowing the vast implications for all Hoosiers, voted to facilitate religious discrimination in many areas of life for Indiana’s families, workers and others. Once the governor signs this bill into law, women, racial minorities, religious minorities, people living with HIV and many others will be much more vulnerable to the whims of any individual or business owner who refuses services to particular groups of people based on religious objections to who those people are. We urge members of the LGBT community to alert Lambda Legal if they experience discrimination explained as due to religious beliefs about gay or transgender people. If you have questions or feel that you have been discriminated against based on your sexual orientation, gender identity or HIV status, please contact our Legal Help Desk http://www.lambdalegal.org/help. I spoke at a Catholic university, Saint Norbert’s, a few weeks ago, and I intend to write a little about that experience… but not yet. In the meantime, just go read about Sister Monica. She will renew your faith – Catholic or not. Um, Wow. Pat Robertson Says Love Your Transgender Child. “The guy’s 30 years old. I mean, he’s an adult. So, what can you do except love him. Alright,” Robertson added. I hope Christian parents listen. I have all kinds of new respect for Jack White after this. Mary’s mother’s name was Anne, by the way. 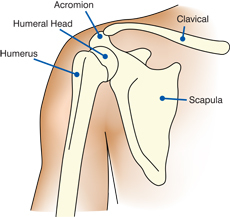 & This is a scapular – which they pronounce kind of more like scapula, which is actually the Latin term for the shoulder bone. This post is dedicated to my friend from 6th grade, Brian Winkowski. We used to have a contest every year on Ash Wednesday to see which one of us could count more people with the ash smudge. We are both youngests from huge Catholic families, as apparently Colbert & White are too. Questions of transgender inclusion become even more complex when Jewish law comes into play. In 2003, the Conservative movement deemed sexual reassignment surgery an essential component of gender transition. But many trans people never receive surgery, and so their transitions go unrecognized by the movement. Rabbi Leonard Sharzer, a bioethicist at the Jewish Theological Seminary, has written a Jewish legal opinion that counters the Conservative ruling, saying that Jewish law should consider trans Jews according to the gender they identify with regardless of surgical status. He plans to submit his opinion to the Committee on Jewish Law and Standards, the Conservative movement’s law-making body. All six rabbis and rabbis-in-training are actively involved in creating Jewish ritual for gender transition, from a prayer for binding the chest to a prayer for taking hormones. It remains to be seen whether these individuals will gain long term employment as Jewish leaders. But they’ve already become sought-after voices on panels at synagogues and in community centers on the topic of gender transition and Judaism. I’m still surprised when I hear people refer to Judaism as if it’s a monolith, and it is so much not so. If anything, debate and argument and interpretation are at the heart of the religion, which leads to all sorts of splits and rifts and factions. It’s really too bad I didn’t put money on it, because I was right,: homophobic from the Global South, as predicted. He sounds like poverty might actually rate, however, which would be a nice change of pace for the Church, to rediscover poor people again, and maybe focus on that instead of on so-called morality. (So called as morality only seems to matter if people are female or queer; sexual abuse & all that rot they never say a damn thing about.) He is flexible on condoms as contraception – if they’re being used to prevent infection, and hey, he’s a Jesuit, but on the conservative end of Jesuit, which means: expect anything once he’s learned more. Even Catholic bishops, who had to be dragged toward compassion in the pedophilia scandal, were dismayed at how uncompassionate Ryan’s budget was. Mitt Romney expects his running mate to help deliver the Catholic vote and smooth over any discomfort among Catholics about Mormonism. (This is the first major-party ticket to go Protestant-less.) Yet after Ryan claimed his budget was shaped by his faith, the United States Conference of Catholic Bishops deemed it immoral. “A just spending bill cannot rely on disproportionate cuts in essential services to poor and vulnerable persons,” the bishops wrote in a letter to Congress. Oh, & um, Ayn Rand was an atheist. Can we get that news out to the Christian Right, please? Here’s a cool story about a female Episcopalian priest who is also a body builder. She’s from Wisconsin, of course. Of course for me, raised Catholic, it’s still odd that ministers/priests should be married, male female or otherwise.